We’re excited to announce the launch of our regional STEM by the Numbers reports. 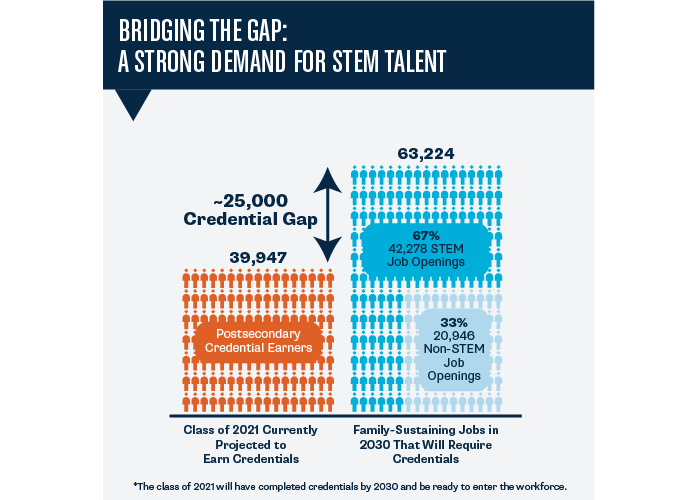 STEM by the Numbers is a series of reports that offer an analysis of jobs available in each region of Washington, the education our students will need to get available jobs in these regions, and effective regional strategies that will enable more students to get the preparation they need to succeed on the career pathway of their choice. If you want information on STEM by the Numbers, please contact us!